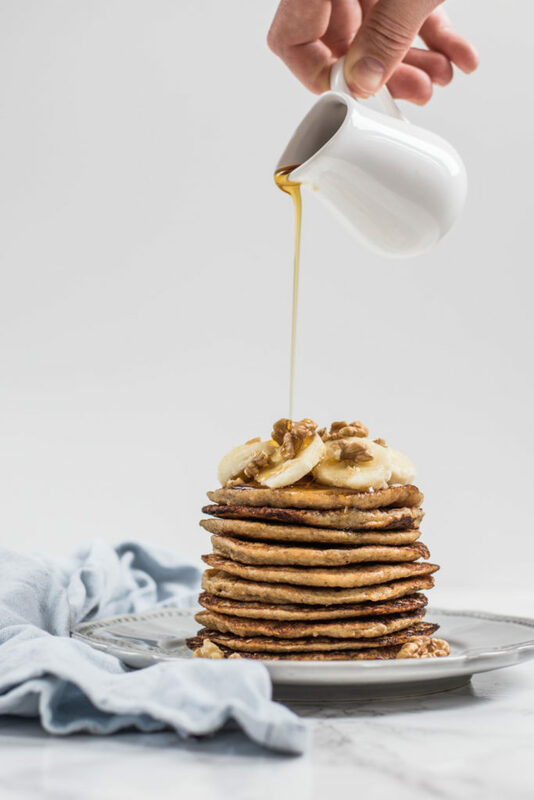 For the lovers of banana and pancakes, here comes something for you! 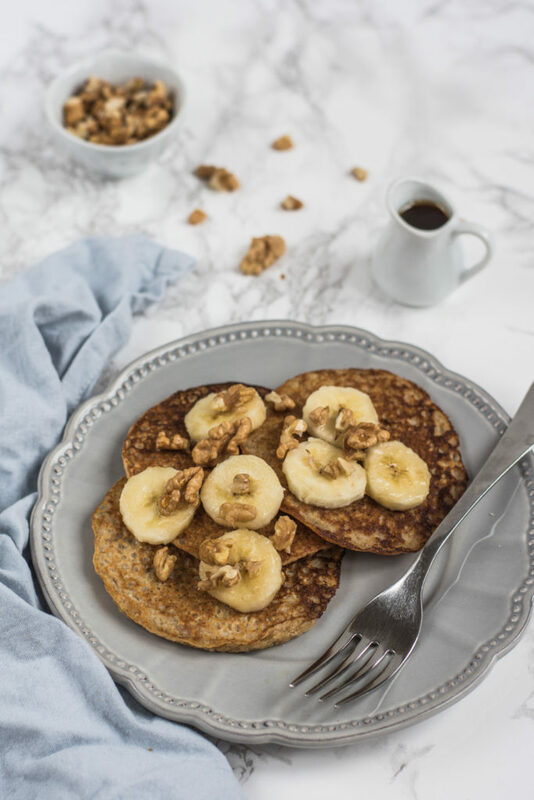 Banana Oatmeal Pancakes are a great option if you have some ripe bananas. They are delicious, healthy and easy to prepare! I have been making them for some time now, usually during the weekend, when I have time to prepare a good homemade breakfast. So now I invite you to join me for a breakfast which is both yummy and still quite healthy! 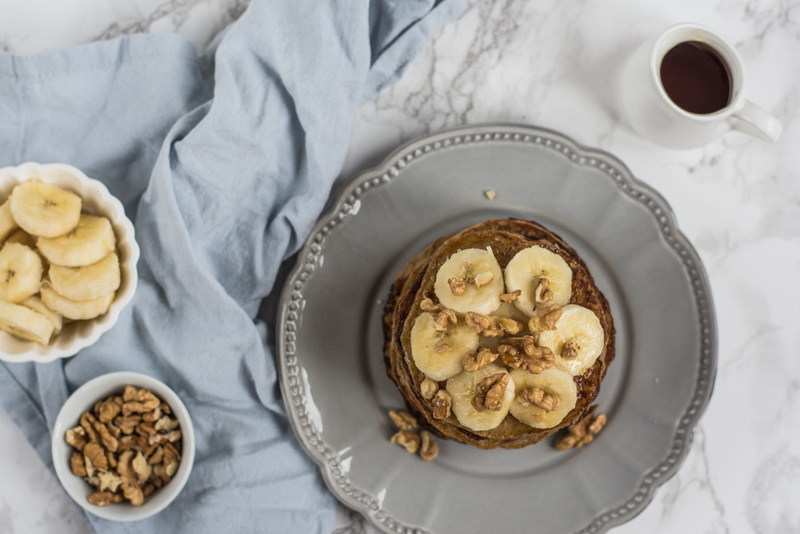 Here you have the recipe for Banana Oatmeal Pancakes. I added some spices because… I just love spices, but if you wish, you can omit this step. 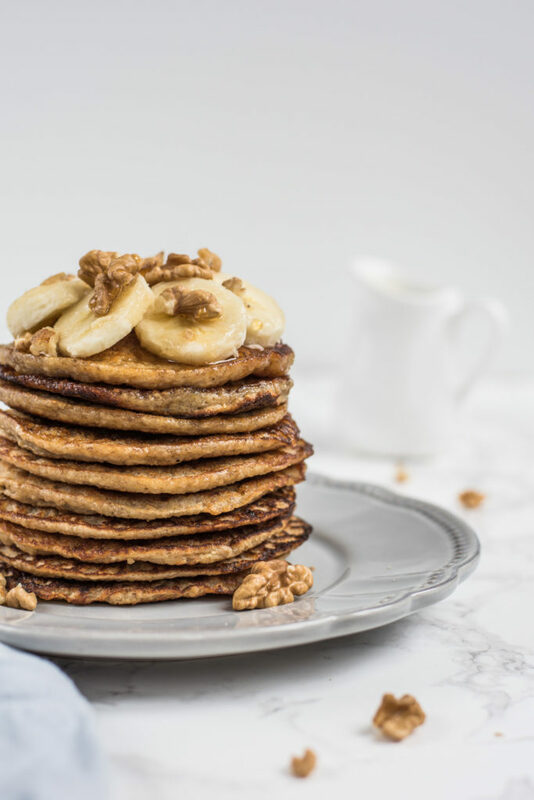 They taste heavenly either with slices of bananas, walnuts, and maple syrup, as well as just with chocolate/hazelnut spread! 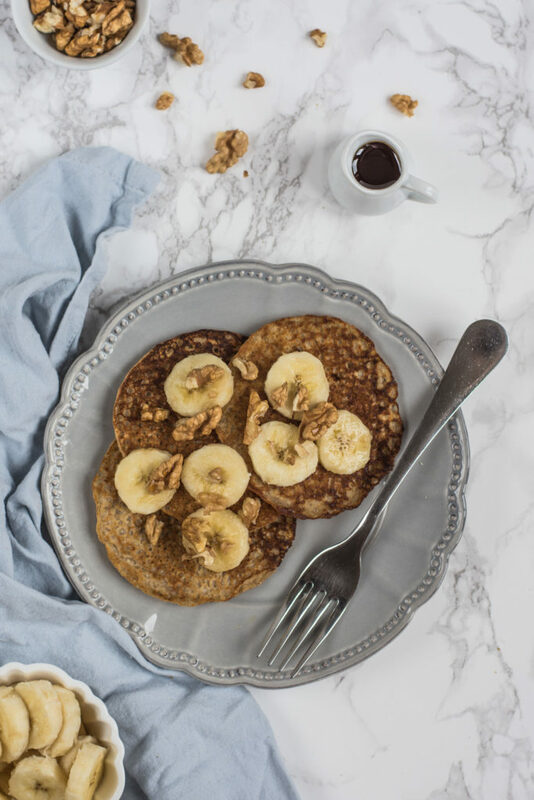 Banana oatmeal pancakes are a great option if you have some ripe bananas. They are delicious, healthy and easy to prepare! In a blender, combine the rolled oats with salt, baking powder, soda, and the ground spices. Blend well. Mash the bananas using a fork, add egg, almond milk, and vanilla extract. Add the dry ingredients and combine into a homogene mixture. Heat the oil in a frying pan and fry the pancakes on a medium heat approximately for 3 minutes. When you see little bubbles appear on the surface, it is time to turn them and fry from the other side for still about 2 minutes. 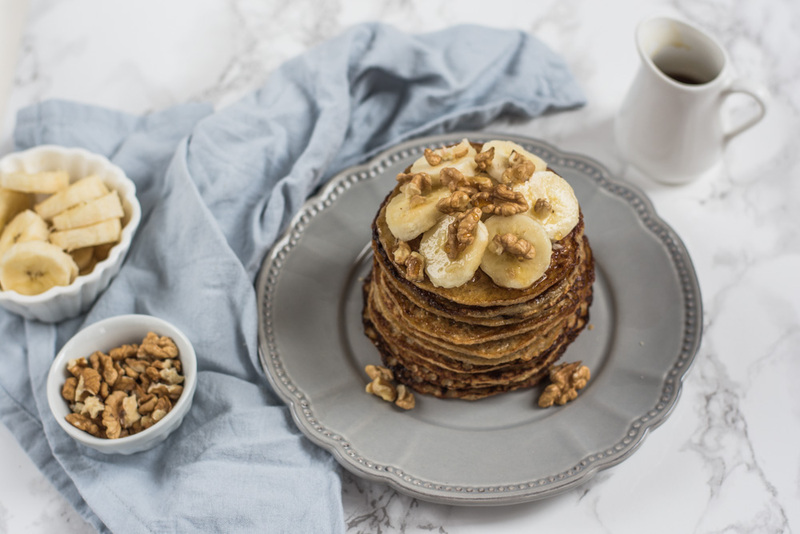 Serve topped with slices of banana, walnuts or pecans and drizzled with maple syrup. Have you tried this recipe? Let me know how it turned out via the below comments! YESSSSSS. I’m a vegan and this is so helpful!!!! Thank you! These look amazing! Will have to give them a go. Such beautiful photos. I can’t wait to try this. My kids will love them. 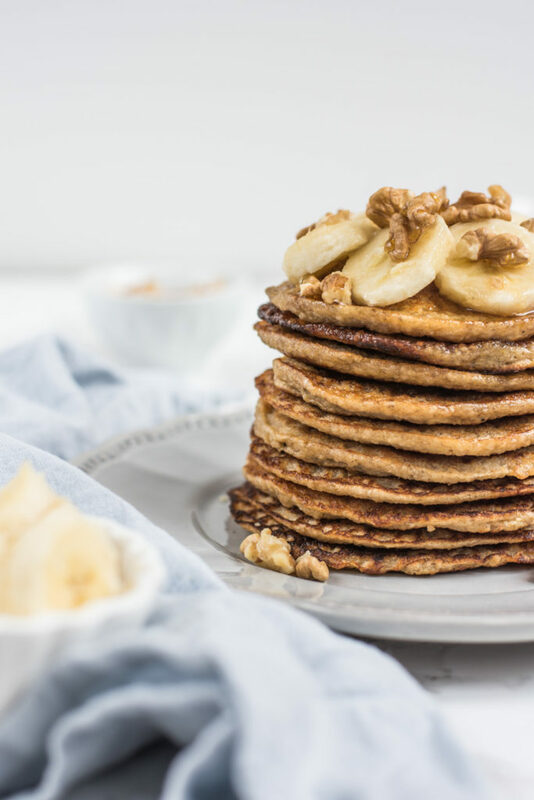 These look incredible and perfect for a healthy brunch! Love anything banana.